Autonomous cars that can map their environment, communicate securely with other vehicles, and understand and interact with their drivers, could one day be a reality, thanks to an £11m research programme led by Jaguar Land Rover. The programme, which is being jointly funded by the carmaker and EPSRC, is aiming to address some of the fundamental challenges on the road to fully autonomous vehicles, including public safety concerns. The research programme includes projects looking into radar and video sensing technologies, distributed control systems, and cloud computing. The projects will also investigate how drivers react to autonomous vehicles, and how the transition between human control and automated systems should best be managed. 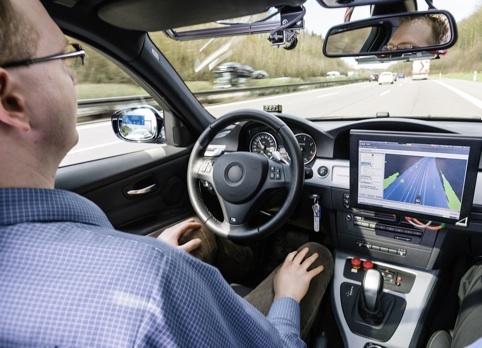 The programme, called Towards Autonomy – Smart and Connected Control (TASCC), will be carried out at ten UK universities, as well as the Transport Research Laboratory. The Pervasive low-Terahertz (THz) and Video Sensing for Car Autonomy and Driver Assistance project, for example, led by Dr Marina Gashinova at Birmingham University, will use low-THz sensors and advanced video analysis to develop a system capable of mapping a vehicle’s terrain and detecting vehicles, cyclists and pedestrians, even in bad weather. The system will also be capable of spotting hazards such as potholes and surface changes. Existing sensors used on autonomous vehicles tend to be based on electro-optical technologies, such as LIDAR. However, these technologies tend to be unreliable when the weather is bad, according to Gashinova. Radar-based technologies, and in particular the proposed low-THz radar, in contrast, can see through rain, spray or snow. “Low-THz has never been used for medium and short-range sensing, but with a very small wavelength, we will be able to achieve much higher resolution images, approaching optical image quality,” she said. Low-THz radar will be combined with video imagery for use in both driver assistance systems and autonomous vehicles. The technology can also accurately measure the distances between the vehicle and other objects on the road, including the speed at which they are travelling, to build up a precise 3D image of the car’s surroundings. One of the largest gaps in the understanding of vehicle automation is in how drivers will react to the new technology, and how best to design for the interaction between humans and cars, according to Prof Neville Stanton at Southampton University, who is leading a project called Human Interaction: Designing Autonomy in Vehicles. The project will study a wide range of drivers with different levels of experience and expertise, progressing from a vehicle simulator – a Jaguar XJ connected to large computers and screens – to a test-track. The project aims to develop personalised interfaces, which adapt to the driver. Similarly, a research team led by Dr Dongpu Cao at Cranfield University will investigate the collaboration between humans and autonomous systems, including whether the use of such technology could reduce a driver’s attention to the road, and how this can be avoided. The Secure Cloud-based Distributed Control (SCDC) Systems for Connected Autonomous Cars project, led by Dr Mehrdad Dianati at Surrey University, will investigate the use of wireless technologies and cloud computing, to allow vehicles to share information. In particular, the project will analyse the security threats arising from allowing vehicles to wirelessly communicate and share information through the cloud. Finally, a research team led by Dr Nathan Griffiths at Warwick University will apply machine learning and data mining and processing techniques to develop cars capable of learning about their occupants and adapting safety systems accordingly, advising them on how best to avoid congestion, and even predicting the driver’s destination.